Polylithionite: Mineral information, data and localities. From the Greek "POLY," for many or much, and in allusion to its composition with a high LITHIum content. Several polytypes are known (see below). Lepidolite A Li-rich mica in, or close to, the so-called Polylithionite-Trilithionite series. Mon. Aegirine 81 photos of Polylithionite associated with Aegirine on mindat.org. Serandite 65 photos of Polylithionite associated with Serandite on mindat.org. Rhodochrosite 49 photos of Polylithionite associated with Rhodochrosite on mindat.org. Natrolite 38 photos of Polylithionite associated with Natrolite on mindat.org. Albite 28 photos of Polylithionite associated with Albite on mindat.org. Leucophanite 25 photos of Polylithionite associated with Leucophanite on mindat.org. Analcime 23 photos of Polylithionite associated with Analcime on mindat.org. Microcline 22 photos of Polylithionite associated with Microcline on mindat.org. Quartz 15 photos of Polylithionite associated with Quartz on mindat.org. Tugtupite 14 photos of Polylithionite associated with Tugtupite on mindat.org. Dana, E.S. (1892) Dana's system of mineralogy, 6th edition. New York: 626-627. Vlasov, K.A., Editor (1966) Mineralogy of Rare Elements, vol. II: 25-29. Vlasov, K.A., M.V. Kuz'menko, and E.M. Es'kova (1966) The Lovozero alkali massif. Akad. Nauk SSSR, 425-429 (in English). Takeda, H. and C.W. Burnham (1969) Fluor-polylithionite: a lithium mica with nearly hexagonal (Si2O5)2- ring. 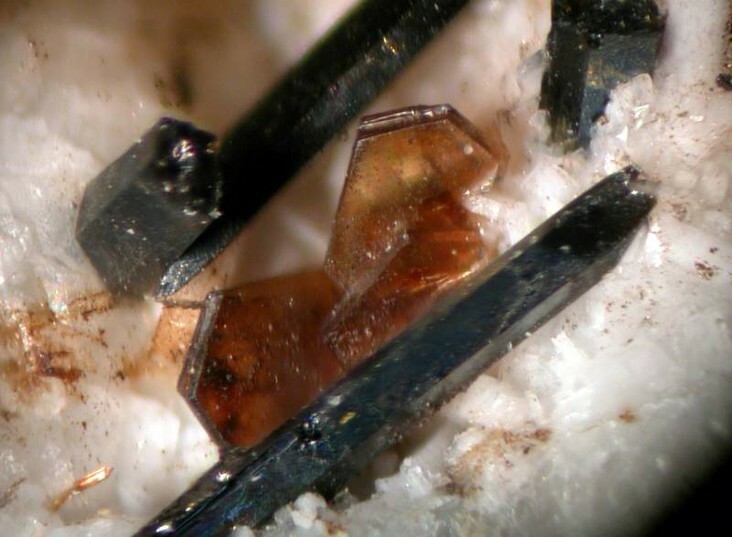 Mineralogical Journal (Japan): 6: 102-109. Raade, G. and A. Larsen (1980) polylithionite from syenite pegmatite at Vøra, Sandefjord, Oslo Region, Norway. Norsk. Geol. Tidsskr., 60, 117-124. BRIGATTI, Maria Franca, Enrico CAPRILLI, Daniele MALFERRARI, Luca MEDICI and Luciano POPPI (2005): Crystal structure and chemistry of trilithionite-2M2 and polylithionite-2M2. European Journal of Mineralogy 17, 475-481. Elmi C, Brigatti M F, Guggenheim S, Pasquali L, Montecchi M, Nannarone S (2014): Crystal chemistry and surface configurations of two polylithionite-1M crystals. American Mineralogist 99, 2049-2059. The following Polylithionite specimens are currently listed for sale on minfind.com. Feng, Y. & Samson, I.M. (2015) Replacement process involving high field strength elements in the T-zone, Thor Lake rare-metal deposit. Canadian Mineralogist 53, 61-82. Feng, Y. & Samson, I.M. (2015) Replacement process involving high field strength elements in the T-zone, Thor Lake rare-metal deposit. Canadian Mineralogist 53, 31-60. Northern Mineral Showings Database, NWT Geoscience Office. Tschernich, R. (1992): Zeolites of the World, p.52; Perrault, G. (1966), Polylithionite from St. Hilaire, P.Q. Canadian Mineralogist: 8: 671. Miller (1996), Canadian Mineralogist: 34:349-371; Salvi & Williams-Jones (1995); Am.Min. : 80:1031-1040; Miller (1990), Newfoundland Dept. of Mines & Energy Geol. Sur. Report 90-1: 171-182.; BIRKETT, T.C., MILLER, R.R., ROBERTS, A.C., & MARIANO, A.N. (1992) Zirconium bearing minerals from the Strange Lake intrusive complex, Quebec Labrador. Canadian Mineralogist, 30, 191-205.
ⓘ Pegmatite vein no. 309 ? Fan G., Li G., Shen G., Xu J., Dai J. 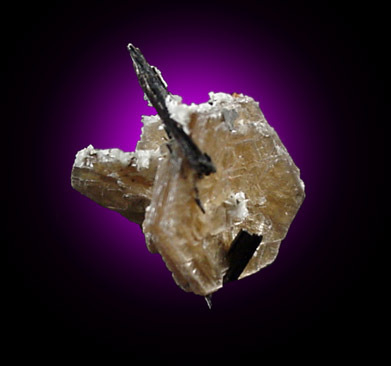 (2013): Luanshiweiite: A New Member of Lepidolite Series. Acta Mineralogica Sinica, 33, 713-721. Welser, P. et al. : Lithný pegmatit Nová Ves. Minerál, Special volume, 2007, roč. 15.; Novák, M., Ertl, A., Povondra, P., Vašinová Galiová, M., Rossman, G. R., Pristacz, H., ... & Škoda, R. (2013). Darrellhenryite, Na (LiAl2) Al6 (BO3) 3Si6O18 (OH) 3O, a new mineral from the tourmaline supergroup. American Mineralogist, 98(10), 1886-1892. Rieder, M., Huka, M., Kučerová, D., Minařík, L., Obermajer, J., and Povondra, P. (1970): Contributions to Mineralogy and Petrology 27, 131-158. Novák, M.: Bór obsahující minerály z granitických pegmatitů moldanubika. Bulletin mineralogicko-petrografického oddělení Národního muzea v Praze, 1995, roč. 3, s. 164-169.; Flégr, T., Novák, M., & Cempírek, J. (2016). 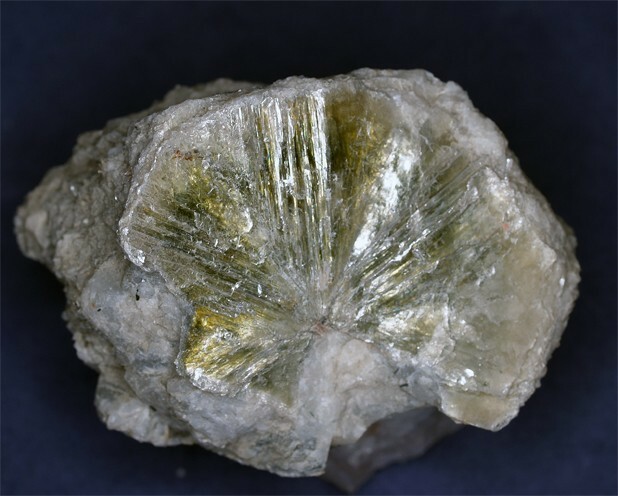 New occurrence of bosiite in the Řečice pegmatite, Czech Republic. Novák, M., Houzar, S., Pfeiferová, A.: Přehled mineralogie, petrografie a historie klasické lokality lepidolitového pegmatitu v Rožné u Bystřice nad Pernštejnem, západní Morava. Acta Musei Moraviae, Sci. geol., 83:3-48. Bøgghild, O.B. (1953): The Mineralogy of Greenland. Meddelelser om Grønland, Bd. 149. Nr. 3., C.A. Reitzels Forlag, Copenhagen. 445 p (P.336-337);Petersen Ole V.,Secher K.(1985) - Gronland: Mineralien, Geologie, Geschichte. - Verlag Bode & Partner K.G., Bochum, 87 pagg. Lorenzen, J. (1884). Untersuchung einiger Mineralien aus Kangerdluarsuk in Grönland. Zeitschrift für Kristallographie unde Mineralogie. 9, 243-254. P.M. Kartashov data; Sokolova, E., Abdu, Y., Hawthorne, F. C., Stepanov, A. V., Bekenova, G. K., & Kotel’nikov, P. E. (2009). Camaraite, Ba3NaTi4 (Fe2+, Mn) 8 (Si2O7) 4O4 (OH, F) 7. I. A new Ti-silicate mineral from the Verkhnee Espe Deposit, Akjailyautas Mountains, Kazakhstan. Econ Geol (1995) 90:530-547; Andreeva, I. A. (2016). Genesis and mechanisms of formation of rare-metal peralkaline granites of the Khaldzan Buregtey massif, Mongolia: Evidence from melt inclusions. Petrology, 24(5), 462-476.; Kovalenko, V. I., Yarmolyuk, V. V., Sal nikova, E. B., Kartashov, P. M., Kovach, V. P., Kozakov, I. K., ... & Yakovleva, S. Z. (2004). The Khaldzan-Buregtei Massif of peralkaline rare-metal igneous rocks: structure, geochronology, and geodynamic setting in the Caledonides of Western Mongolia. Petrology c/c of Petrologiia, 12(5), 412-436.
http://www.koeln.netsurf.de/~w.steffens/aris.htm; Wartha, R., Palfi, A., Niedermayr, G., Brandstätter, F. and Petersen, O. V. (2001): Der Aris-Phonolith-Komplex und seine Mineralien. In Bahmann, U. and A. (Eds. ), Namibia – Zauberwelt edler Steine und Kristalle, Bode-Verlag, Haltern, Germany, pp. 172-179. (in German); Petersen, O. V., Niedermayr, G., Pekov, I. V., Balić Žunić, T. and Brandstätter, F. (2004): Tsepinit-Na und Labuntsovit-Mn, seltene Mineralien aus dem Phonolith von Aris, Namibia. Mineralien-Welt, 15 (2), 44-48. (in German); Yakovenchuk, V.N., Ivanyuk, G.Yu., Pakhomovsky, Y.A., Selivanova, E.A., Mikhailova, J.A., Krivovichev, S.V., Zolotarev, A.A. and Zalkind, O.A. (2011): Ellingsenite, Na5Ca6Si18O38(OH)13·6H2O, a new martinite-related mineral from phonolite of the Aris alkaline complex (Namibia). Canadian Mineralogist, 49, 1165-1173; Kolitsch, U., Blaß, G., Jahn, S., Cámara, F., von Bezing, L., Wartha, R. R., Tremmel, G., Sturla, M., Cerea, P., Skebo, M. and Ciriotti, M. E. (2016): Aris - mineralogy of the famous alkaline phonolite. AMI - Associazione Micromineralogica Italiana, Cremona, Italy, 95 pp. Svein A. Berge collection/observation 1989. Sharygin, V. V., & Vladykin, N. V. (2014). Mineralogy of cryolite rocks from the Katugin massif, Transbaikalia, Russia. Abstract Book of 30th International Conference on “Ore Potential of Alkaline, Kimberlite and Carbonatite Magmatism,” Antalya, Turkey, 166-168. Thomas, R., Davidson, P., & Badanina, E. (2009). A melt and fluid inclusion assemblage in beryl from pegmatite in the Orlovka amazonite granite, East Transbaikalia, Russia: implications for pegmatite-forming melt systems. Mineralogy and Petrology, 96(3-4), 129-140. Agakhanov, A.A., Pautov, L.A., Uvarova, Y.A., Sokolova, E.V., Hawthorne, F.C., Karpenko, V.Yu. (2005): Senkevichite, CsKNaCa2TiO[Si7O18(OH)], a new mineral. New Data on Minerals, 40, 11-16; Agakhanov A.A., Pautov L.A., Karpenko V.Yu., Bekenova G.K., Uvarova Y.A. (2011) Orlovite, KLi2 TiSi4 O11F, a new mineral of the mica group New Mineral Data 46:13-19; Agakhanov, A.A., Pautov, L.A., Sokolova, E., Hawthorne, F.C., Karpenko, V.Yu., Siidra, O.I., Muftakhov, V.A. (2016): Odigitriaite, CsNa5Ca5[Si14B2O38]F2, a new cesium borosilicate mineral from the Darai-Pioz alkaline massif, Tajikistan: Description and crystal structure. Mineralogical Magazine, 80, (in press). ; Grew, E. S., Yates, M. G., Belakovskiy, D. I., Rouse, R. C., Su, S. C., & Marquez, N. (1994). Hyalotekite from reedmergnerite-bearing peralkaline pegmatite, Dara-i-Pioz, Tajikistan and from Mn skarn, Langban, Varmland, Sweden: a new look at an old mineral. Mineralogical Magazine, 58(391), 285-298. Anthony, J.W., et al (1995), Mineralogy of Arizona, 3rd.ed. : 288. American Mineralogist, Vol. 85, pp. 1275-1286, 2000.
ⓘ Brown Derby Mine ? Cobban, R., et a., 1997, Mineralogy of Colorado. ⓘ Brown Derby No. 1 ?